Move over, boutique fitness studios of yesteryear—there’s a new workout in town. 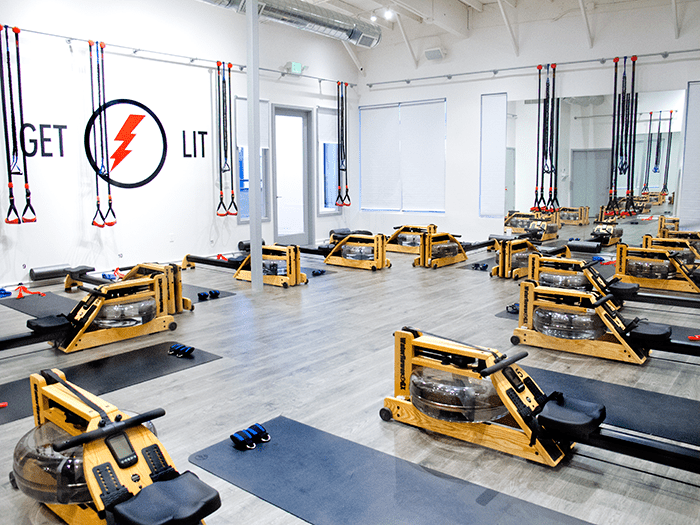 Founded in West Hollywood last year by IRL couple Justin Norris and Taylor Gainor, LIT Method has gained popularity for its low-impact training program that combines rowing machines, resistance bands, and TRX intervals to sculpt and tone your body. It should be noted that low impact is not synonymous with low intensity, something we learned when we hosted LIT Method workouts at The Grove this month. While there’s no impact being placed on your ankles, knees, hips, elbows, or shoulders, you’re still going to get a great workout—and it’s highly effective for weight loss. Likewise, the resistance-band exercises and TRX intervals in class provide continuous tension throughout your workout. The burn never leaves the muscle, effectively toning and shaping your body. And needless to say, you should definitely stretch and hit the foam roller after all of that. What new workout have you tried recently? Tell us in the comments below.